This table was my first project. It is not my best, however I feel it is necessary to post. 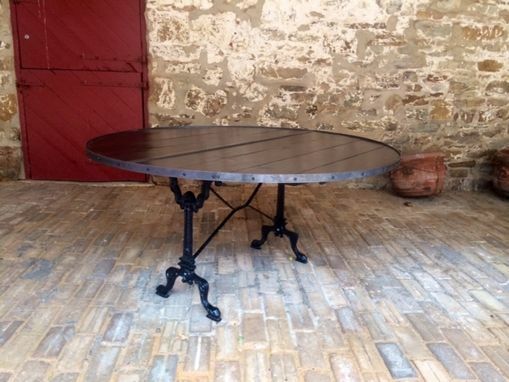 It is 5' round and 30" high with antique cast iron legs. I included an ebony stain on the wooden planks with a satin top coat. It has a metal strip in the middle and around the table to finish off the industrial look.